We are pleased to announce that we have chosen 8 proposals to present workshops, community events, and expeditions as part of our 2014 iLANDing Laboratory Initiatives. These events will take place in the spring between February and July of 2014. Specific dates and a full calendar will be announced later. Take a walk and share a picnic with choreographer Athena Kokoronis and ecologist Leila Mougoui Bakhtiari to learn about trees in local parks. Participants will develop scores based on walks and combine them in an improvisatory quilt with others. Join Charles Dennis on a canoe trip to Gerritsen Inlet in Marine Park, Brooklyn and explore the natural landscape. After group improvisation, take time to read, meditate, and journal. EJ McAdams, Douglas Manson and Virginia Millington will take us on a guided walk of a transect within the urban landscape, exploring poetry, pacing and environment. 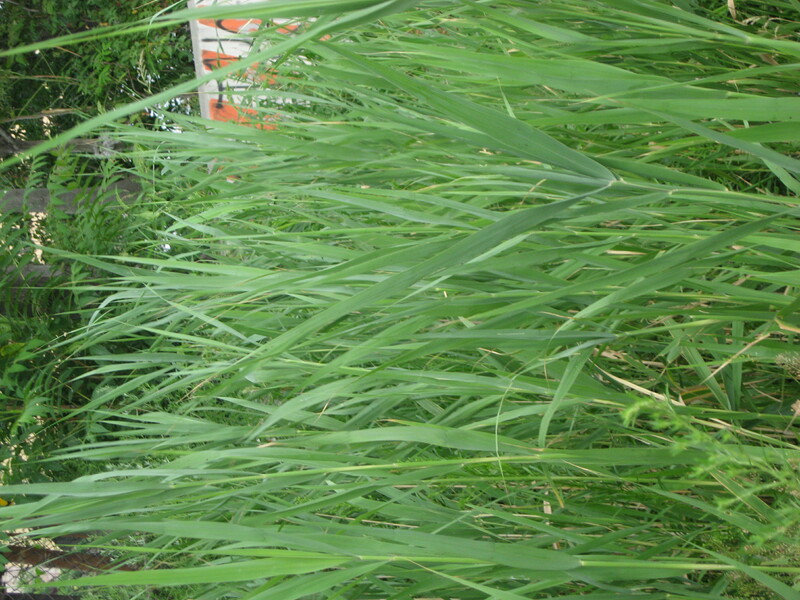 Help rebuild habitat at the Bronx River Salt Marsh by planting wetlands and discussing threats to urban wildlife. Complete a journey using landmarks, interaction with others, and intuition to guide you. Then work with others to propose new plans for easier navigation to City Council. Explore collaboration and the methodology of practice through a workshop of movement, writing, modeling, and construction. Join choreographer Jill Sigman, astrophysicist Tony Faddoul and multimedia artist Moria Williams for an exploration series for stargazing, a design charette, collaborative walks, and a potluck picnic panel. Investigate a commercial street and notice multiple narratives at each liminal junction. Develop a coherent narrative yourself using a variety of multi-media. 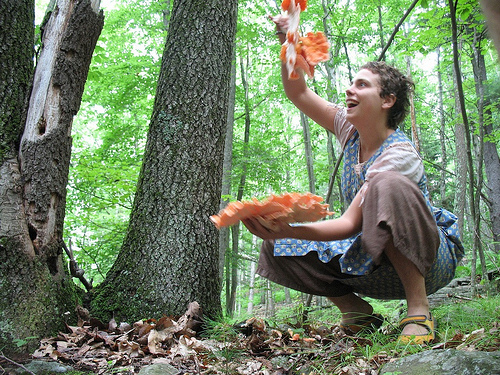 iLAND will host a rural retreat for the 2013 iLAB Residents at Earthdance from May 17-23, 2013 . The collaborators will spend a week at Earthdance to immerse themselves in the development of their collaborative process and to engage in the different kinds of questions and methods that arise in a rural environment. The residents will be working with Jennifer Monson (founder and artistic director of iLAND) and other iLAND community members on the development of practices that help address these questions through iLANDing – a model for interdisciplinary collaboration with a strong emphasis on the role that dance and somatic practices play in environmental and aesthetic understanding. PARK Scores is presented by the Council on the Arts and Humanities of Staten Island. It will be part of Sneak Peak at Freshkills Park, hosted by the NYC Department of Parks and Recreation, Freshkills Park. PARK collaborators Kathy Westwater, Jennifer Scappettone, Seung Jae Lee, and Tamio Shiraishi will be in residence at the Millay Colony for the Arts’ Group Residency from September 28-October 3, 2012. PBS IdeaLab blog features 2012 iLAB residents, Higher E.D. 2012 iLAB Resident Team, Higher E.D., hosted a solar balloon and kite building workshop in early July. Higher E.D. 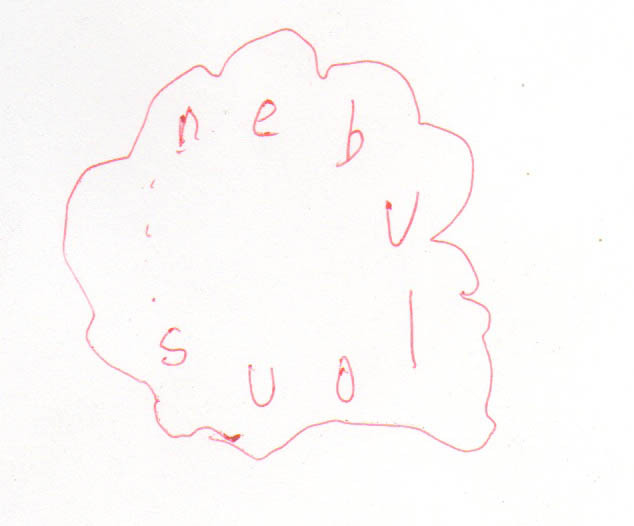 collaborator, Liz Barry, writes about the experience HERE on the PBS MediaShift IdeaLab Blog. iLAND Intern, Lizzie Ingraham, reflects on her experience at the iLAB Retreat in June 2012.
category, at the time an applicant for an internship with the organization. I entered into the experience nervous, excited, and full of questions; my familiarity with the group limited almost exclusively to what I had researched on the iLAND website and what I had subsequently learned about choreographer Jennifer Monson’s work. I was greeted warmly by all and learned even before the formal introductions the seriousness with which iLAND takes the first word of their acronym. Throughout the day, I continued to be surprised by the plethora of disciplines from which these people hailed as well as the success with which they worked with and from one another. I soon discovered that a primary concern of iLAND is the loss of process in the pressure of creation. Additional difficulties, including varying methods of notation, would be later addressed by this year’s residencies and would lead into the motivation behind the implementation of iLANDing as an active verb. In the first activity of the day, we walked to the water and broke into small groups to discuss both our personal research methods and relationship to the site. I was lucky enough to be grouped with choreographer Jennifer Monson and other iLAND affiliates of varying backgrounds and involvement with the organization. We formed one coherent activity to teach to the larger group that incorporated each of our creative approaches; beginning by lying on our backs with eyes closed in an introspective experience and then moving to vertical interaction with our environment. Some other group-led activities involved exploring edges in the space and a haphazard sampling of the area. efore bringing everyone outside to follow kite patterns or engage in improvisational doodling with chalk below. Follow the Water Walks exposed the relativity of maps and explained their research into measuring public space with specific, very personal measurements. While accepting some of the inherent limitations of mapping, the group is also working to identify potential green spaces, promoting change and advancement in the Bronx community. fied the necessity of such a codified system of notation, as it would be a tragedy to lose the progressions through which these artists create. See more of Lizzie’s writing on her blog, Moving for the City. Check out more photos and videos from the iLAB Retreat HERE. 2012 iLAB Resident (Higher E.D. ), Lailye Weidman, performs in Body Mic: Dance and Performance. 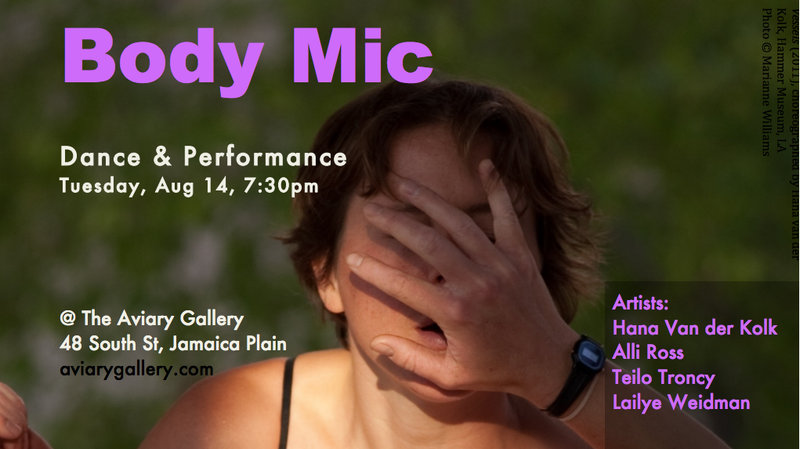 I want to invite you to an upcoming evening that I am curating and performing in at the Aviary Gallery in JP on Tuesday Aug 14th at 7:30 PM. It is a beautiful intimate space and this will be no ordinary night of performance. Hana van der Kolk and I will be performing material from a new duet directed by Teilo Troncy, exploring fluctuations in gender and relationship, tenderness and force. In another duet, co-discovered by Alli Ross and myself, we will reveal secret oracles and nonsense as we translate unknown messages through each others bones. In addition, I will be sharing a participatory weather dance conceived by the collaborative project Higher ED. In 2010 and 2011, at Fresh Kills Westwater created scores that respond to and evoke the experience of the site in its current liminal state — no longer landfill and not yet parkland. PARK scores continue to be re-imagined and remade beyond the iconic landfill site, including now at LentSpace. LentSpace is owned by Trinity Wall Street and licensed for use to Lower Manhattan Cultural Council for temporary art installations. It is also the vacant land Occupy Wall Street attempted to inhabit after Zuccotti Park. 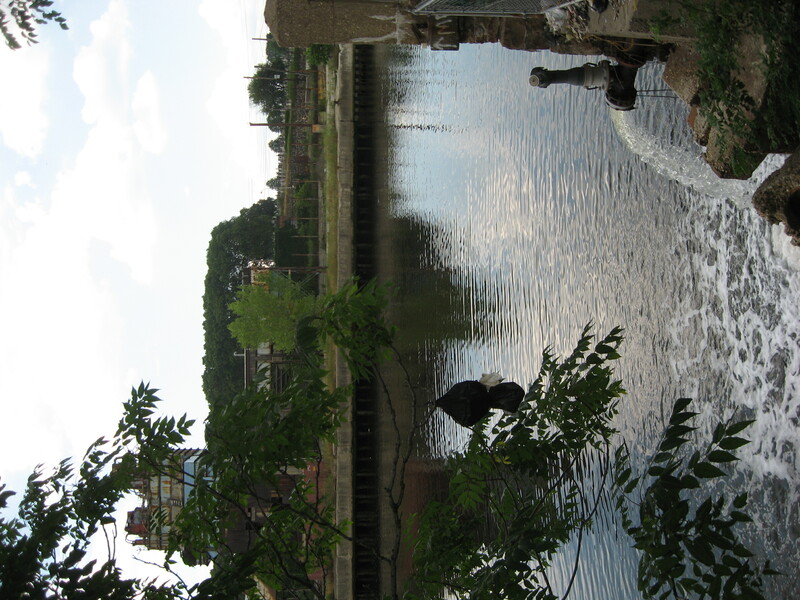 Follow the Water Walks will offer a full river paddle in the morning and then support a community group with their Soundview Festival. From the upper Hudson to Raritan Bay, we are a City of Water—yet too many of us are cut off from this tremendous resource. Help revitalize the waterfront with a festival for the entire family. [vimeo http://www.vimeo.com/44993044 w=600&h=338] Past and Current iLAB Residents along with iLAND Board and community members gathered on June 17th at Eyebeam and along for the Hudson for a day of collaborative exploration and discussion about iLANDing. We went to a park along the Hudson River to engage in some iLANDing, sharing collaborative process and research tactics. To do this we broke into small groups, shared our individual research practices with each other and then created an amalgamation of them to share with the larger group. We then returned to Eyebeam, had lunch and the current iLAB residents, Follow the Water Walks and Higher ED (Ecology+Dance) gave presentations about the work they are engaged in. Kite and Solar Balloon Workshop with Higher E.D. 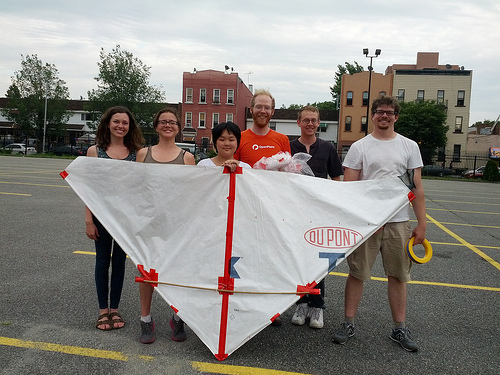 iLAB Residents, Higher E.D., will host a Bamboo Kite and Solar Balloon Workshop THIS WEEKEND! Location: 630 Flushing Avenue, Brooklyn, at Broadway Triangle. Directions: Once at 630 Flushing, walk to Thompkins Ave and enter the parking lot behind the Pfizer building. The main entrance has a small overhang and bicycle parking. We will be on the loading dock. Join Public Laboratory members Mat Lippincott, an extraordinary floating and flying object sculptor visiting from Portland, Oregon, and Leo Famulari, an extraordinary kite designer visiting from Miami, Florida, for a hands-on workship on design principles and construction of Solar Balloons and Bamboo Kites. These can be used for taking aerial images and other aerial data gathering, or for your pure enjoyment. This workshop is part of iLAB—an interdisciplinary collaborative project between PLOTS staff member Liz Barry and two dance artists: Jess Einhorn and Lailye Weidman. They will share a bit about their research on Sunday. 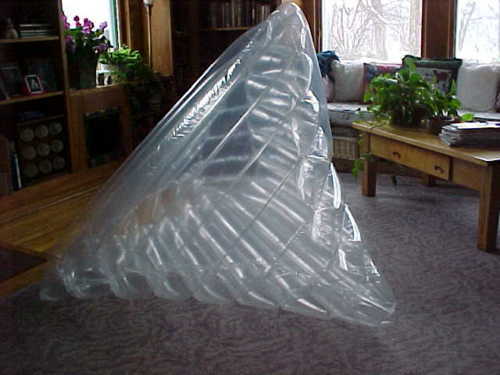 Upon the completion of the workshop, you can either take your kite or solar balloon home, or add it to the PLOTS NYC lending library (including the floating gallery project, part of the 2012 iLAB Higher E+D fellowship). Please bring your own lunch — we will provide snacks! For questions, please email liz@publiclaboratory.org or call 336-269-1539. Hope to see you there or in the air. The 2nd annual iLAND Retreat/Lab is happening this Sunday, June 17th from 10 am until 4 pm at the Eyebeam Art + Technology Center in NYC. 20 members of the iLAND community, including past and present iLAB Residents and iLAND Board Members, will gather to participate in iLANDing along the Hudson River and discussion at Eyebeam. This event is at capacity. These images are from the 2011 iLAB Retreat, which was generously hosted by the Bronx River Art Center. Thank you to D’Agostino’s for their continual support and quality fare! The 2012 iLAB Residents are busy investigating and collaborating. Check out what they’ve been up to! 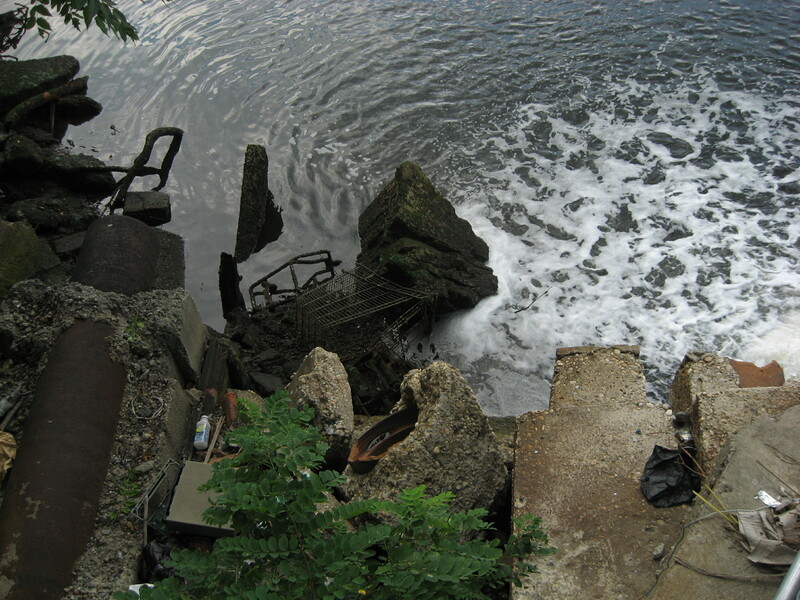 Becky, Damian and Paloma, of the Follow The Water Walks team, have been writing about their adventures in the Bronx HERE. Jess, Liz and Lailye, of the Higher E.D. team, have been writing and posting research images of their experience with kites and the weather HERE. Follow the Water Walks will have a couple of canoes in the parade as well as some bikes and are hoping to offer paddling opportunities at Barretto Park in the afternoon. 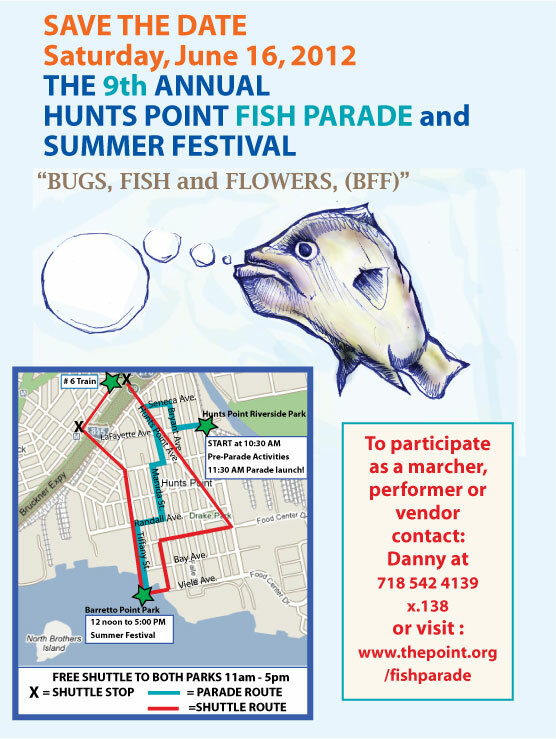 On Saturday May 5th, 2012 iLAB Residents Follow the Water Walks will take part in the annual Bronx River Flotilla. 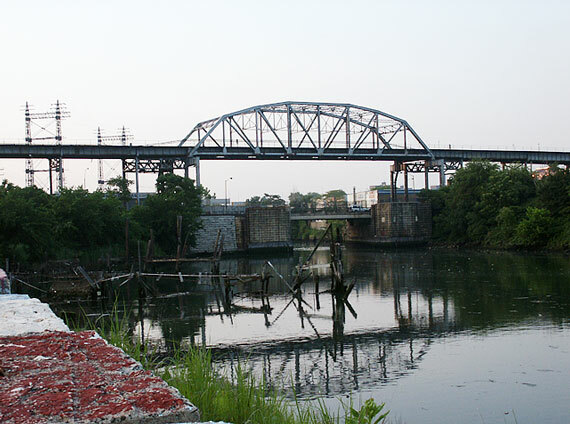 The Bronx River Alliance will host over 200 participants as they traverse the Bronx River – beginning at Shoelace Park and ending at Concrete Plant Park. Registration is full. There will be a picnic from 12:30-4 pm at Concrete Plant Park. Welcome paddlers as they reach the finish line. Bring a blanket and picnic lunch. Join us for our first public paddling event of the season. You and over 200 participants will paddle and glide along almost six miles of the Bronx River, from 219th Street to Concrete Plant Park. Enjoy unique views of the neighborhoods through which the river flows on its way to the sea. This is a work-in-progress by past iLAB resident Karl Cronin. 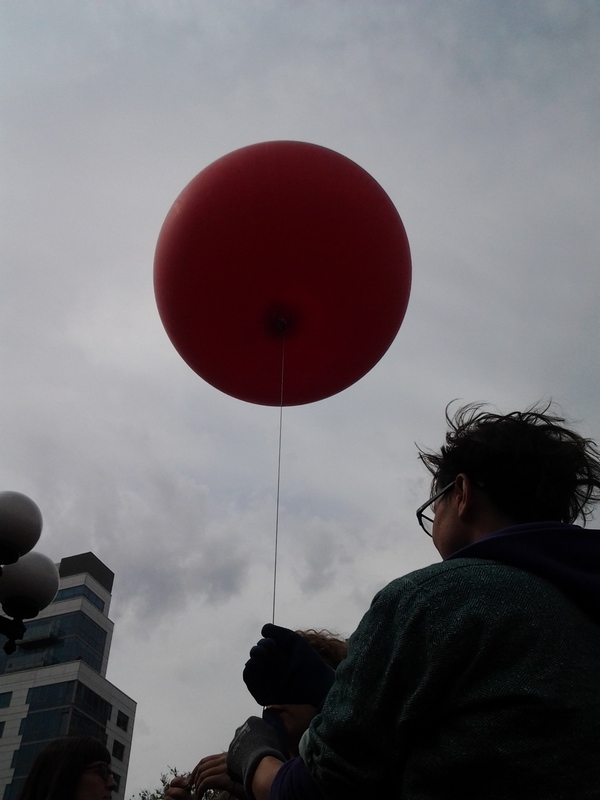 Higher ED: Ecology + Dance will explore the physical relationship between the wind moving through urban environments and our bodies using the connective media of kite / balloon aerial mapping devices and weather observation movement scores during outdoor research activities. Follow the Water Walks plans to use our choreographic, scientific and cultural research to develop interactive movement structures for a culminating model that will offer an embodied experience of the storm water routes and the Bronx River, with attention to what was, is and will be part of that living landscape. More information about the 2012 residents is here. More information about iLAB is here. The 2012 iLAND Symposium Begins! We’re off to a great start with the 2012 iLAND Symposium: Moving into the Out There. These annual symposiums give us a taste of the interdisciplinary research community that iLAND is creating. As is often the case with iLAND, many conversations are started that open onto much bigger discussions that we do not have time to continue in the confines of the Symposium. Stay tuned for blog posts by Gretchen Till, who will be blogging throughout this year’s Symposium; we hope you will join the conversation in person and online. See you tomorrow, inside the New School and Thrown Outside for transects and weather balloons! 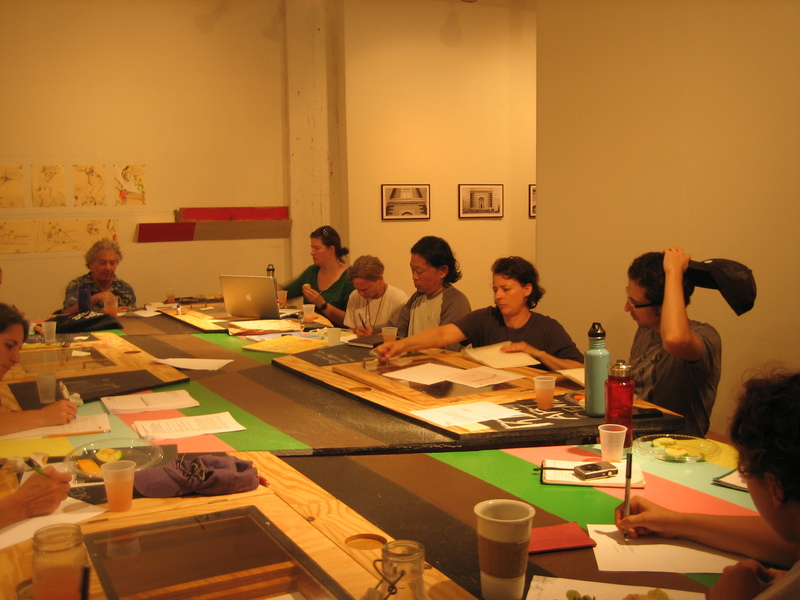 iLAND is now accepting proposals for the 2012 iLAB Collaborative Residency Program. 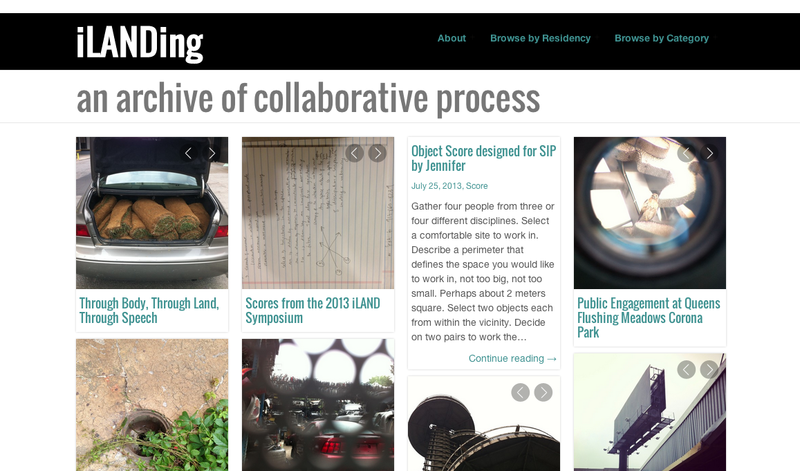 This year iLAND is restructuring the application process for the iLAB Residency. Come learn more about the program and new guidelines, and meet potential collaborators at our upcoming information session on October 15 from 3-5pm. Location: 475 Atlantic Avenue between Dean and 3rd Avenue on the 3rd Floor. Email info(at)ilandart.org to RSVP for the Application Seminar. Download the complete application guidelines here. iLAB, now in its sixth year, is a residency program supporting collaborations between movement-based artists and scientists, environmentalists, urban designers/landscape architects, architects and others that integrate creative practice within different fields/disciplines. The goals of iLAB are 1) to invigorate and re-imagine relationships between the public and the urban environment through kinetic experience, 2) to engage artists and practitioners across the disciplines of dance, art, and the ecology of physical interrelationships such that we create and investigate innovative approaches to science, infrastructure, urbanisms, and architecture within a performative context, and 3) to support the development of process in engagement over product such that process is itself a product for artistic and public action. Each year iLAB provides collaborator teams with support including a $5,000 stipend, resources to document the residency, mechanisms for disseminating their research in the science and art communities, and mentoring throughout the process. This year, in addition to participating in the residency activities, the iLAB recipients will be engaged in the development of the iLAND Process a dynamic structure of best practices that will foster in-depth and effective collaborative processes for the iLAB Residency program. Defining the iLAND Process will create a replicable model for interdisciplinary collaboration with a strong emphasis on the role that dance and somatic practices play in environmental and aesthetic understanding. PARK is about what we destroy in order to create. Existing as both process and performance, it expresses forms of making and unmaking that engage wilderness, post-industrial spaces, and everyday landscapes. PARK locates the convergence of nature, industry, and individual experience of the wild and mundane daily life at large at Fresh Kills, New York. 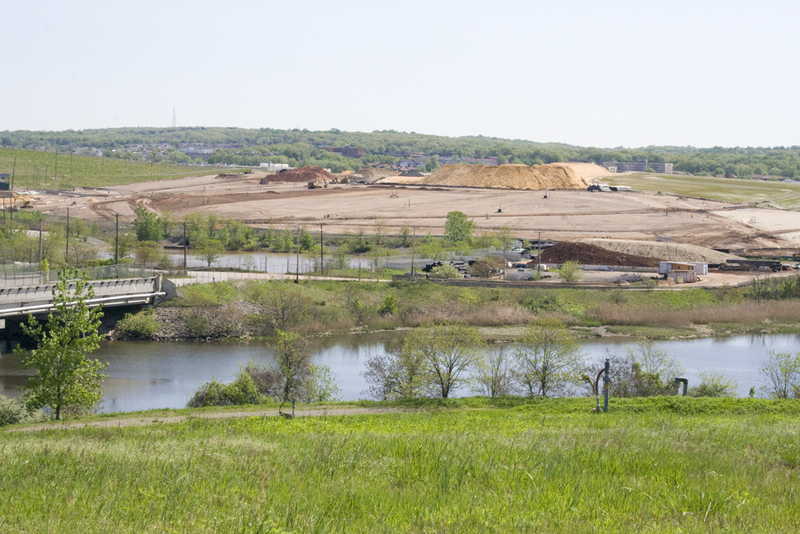 Geographically situated away from the view of many of the city’s inhabitants, Fresh Kills, once the largest landfill in the world, is currently undergoing a 30-year conversion into a park. Collaborators include choreographer Kathy Westwater, poet Jennifer Scappettone, architect Seung Jae Lee, and trail-builder Leigh Draper. 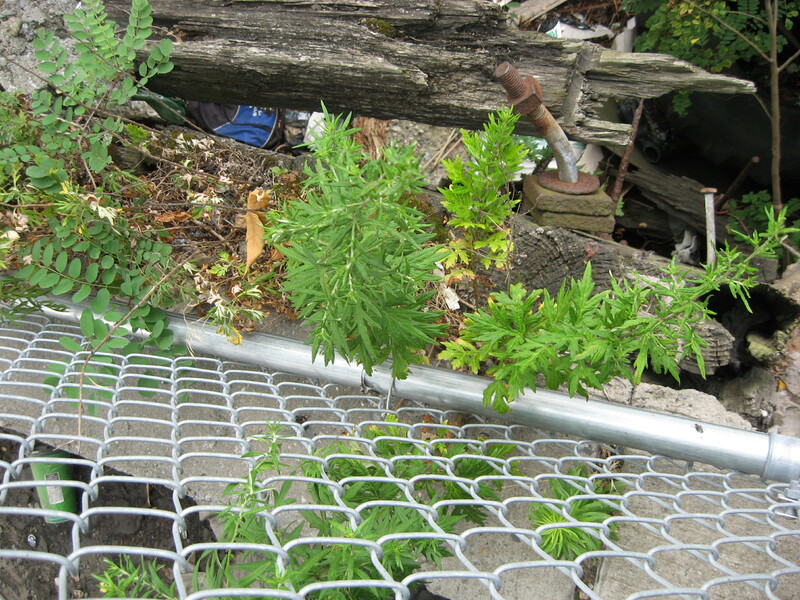 Their research includes exploring the translation of wilderness practices to the urban landfill-to-park site. 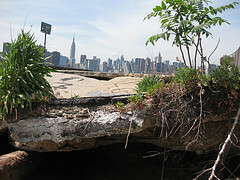 PARK seeks to activate the landscape, articulating the site’s mutating topography, infrastructure, mass, and scale while evoking notions of proximity and distance between the public and the largely invisible contents of the landfill, collapsing our individual and collective remoteness from its obscured function in the life of the city. 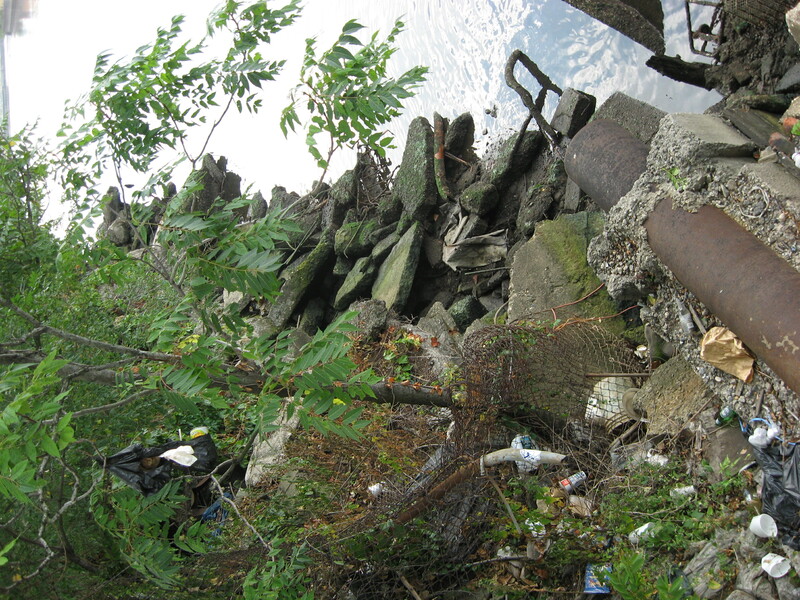 As New York continues to create a new use-value for the Fresh Kills Landfill, the PARK residency project – which culminates in a public event in Fall 2011 –represents an unprecedented engagement for project collaborators and the public with a unique site that has been largely inaccessible until now, though it is crucial to both the history and future of the city. PARK invites individual participants to enter into awareness of their own connections to this place, a monument to cycles of consumption in which we are all complicit; it invites the public to enter a zone of visceral intimacy created within this expansive and alien, yet familiar landscape. In honor of the upcoming River to Creek bicycle tour on September 11, I’d like to share some thoughts that came up during a tour with our accompanying expert, Ryan. 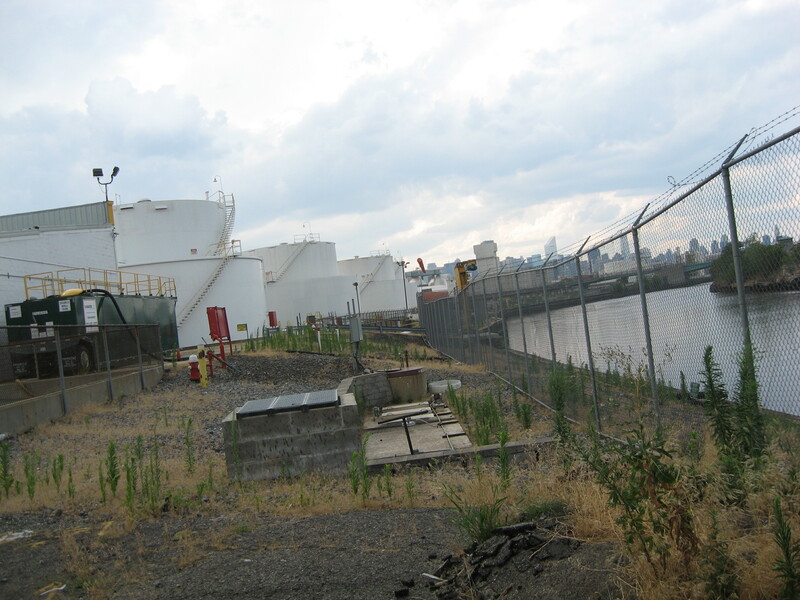 On July 11, 2010 I took a bike tour of the Newtown Creek with Ryan Kuonen of Neighbors Allied for Good Growth (NAG), a volunteer-based community planning and environmental justice organization that has worked in North Brooklyn waterfront communities for many years. The tour was offered as a course at the School of the Future. 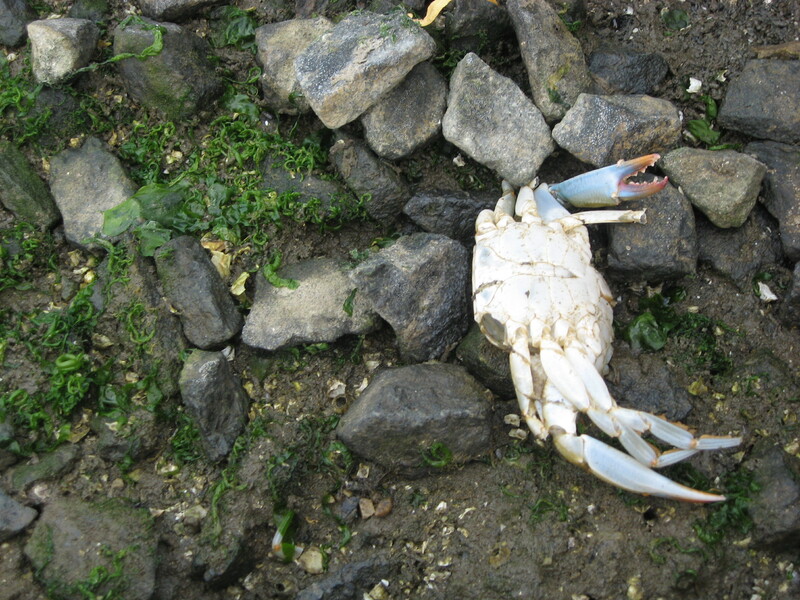 – There is an oil spill under the creek that is bigger than the spill from the Exxon Valdez. 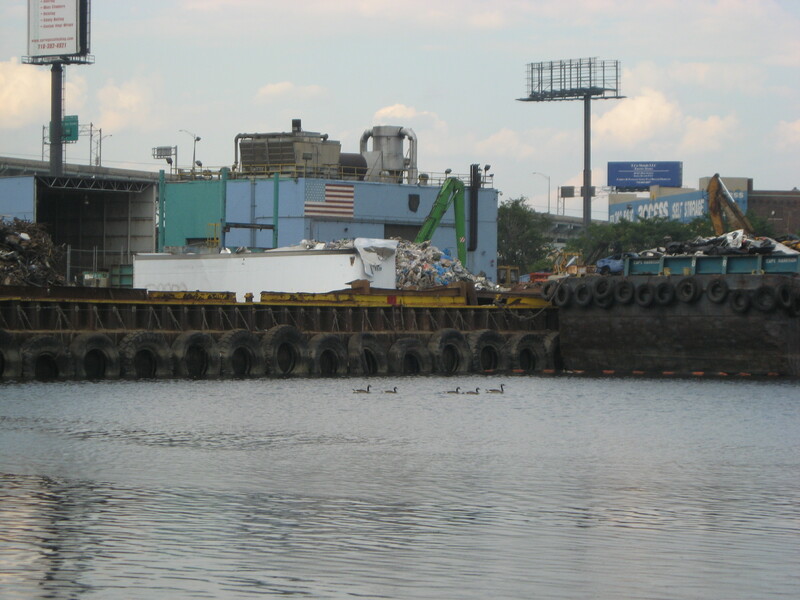 – The Newtown Creek wastewater treatment plant has a visitor’s center which was designed by Vito Acconci and New York City DCA Percent for Art brought us the George Trakas sculptural habitat on the grounds of the treatment plant. This habitat, a large public area that contains gardens and a unique spatial design, is hidden away at the end of Paidge Avenue and surprisingly uninhabited, given its unusual and gorgeous nature. It has been a stop on some the River to Creek research tours. 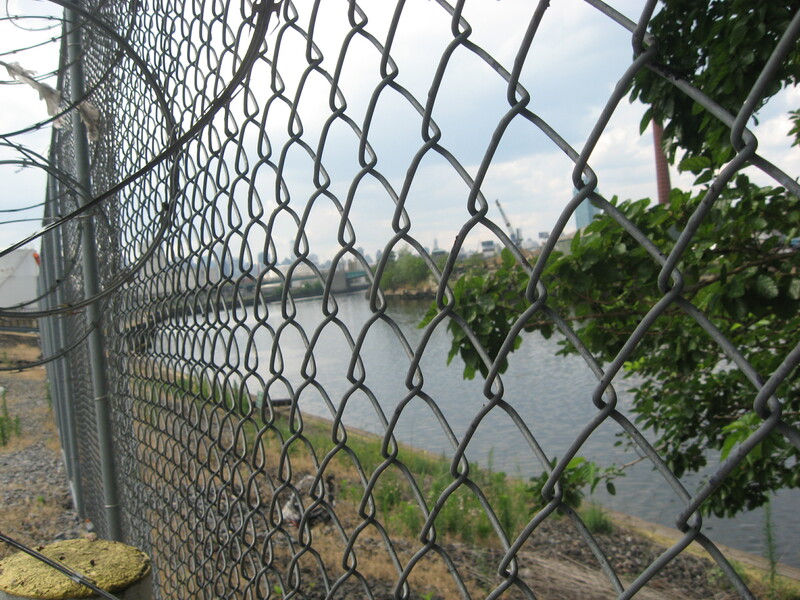 – In the past 400 years, the area around Newtown Creek has gone from productive wetland to farmland to heavy waterfront industry to light functioning industry with less waterfront activity and is currently transforming, albeit slowly, into residential areas with waterfront access. 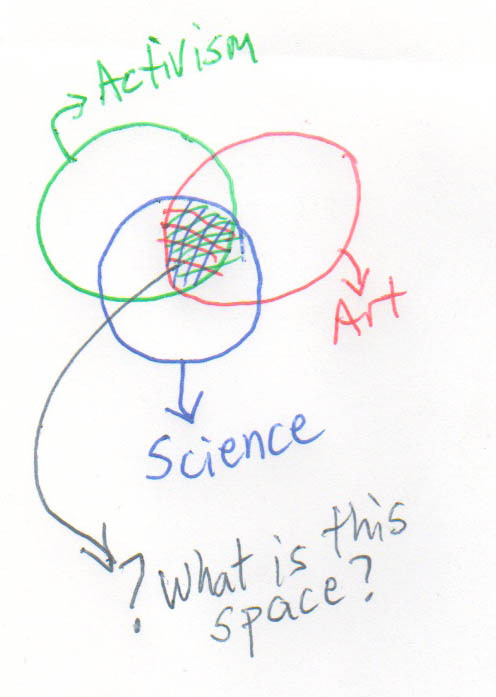 The ride and the talk started me thinking about the intersection between art, activism and science. Ryan, a passionate advocate for environmental justice, had a plethora of scientific knowledge at her fingertips. This type of knowledge is essential for a certain type of activism. Activism aimed at our ecological survival (aka survival of life on Earth) requires science. Where does art fit? In a space. Ideally, art brings the message home, under the skin and into the tear ducts, through the soles of the feet and into the blood stream. 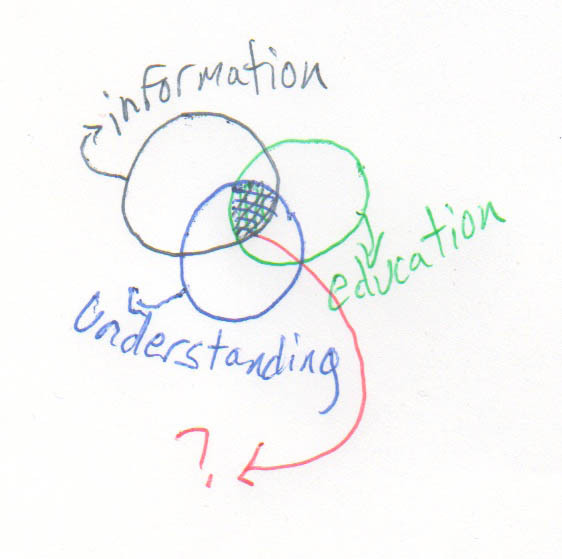 Perhaps art is the intersection of information, education and understanding. Art acts in this space not just by presenting information in an attractive manner. It is the intermediary between the raw experience of the world/event that is eventually translated into “information” and the information it becomes. It is privileging our sensory and other perception, our nuanced intuition, and it allows us to become utterly engaged in a situation. Environmental activism needs science to be effective as information and it needs art to be effective in creating true understanding. Also, environmental science needs environmental activism so that it can remain vital and connected to everyday life, and environmental science needs art so that there is a connection between analysis (taking the world apart into its constituent pieces) and synthesis (putting the pieces back together in unusual ways). 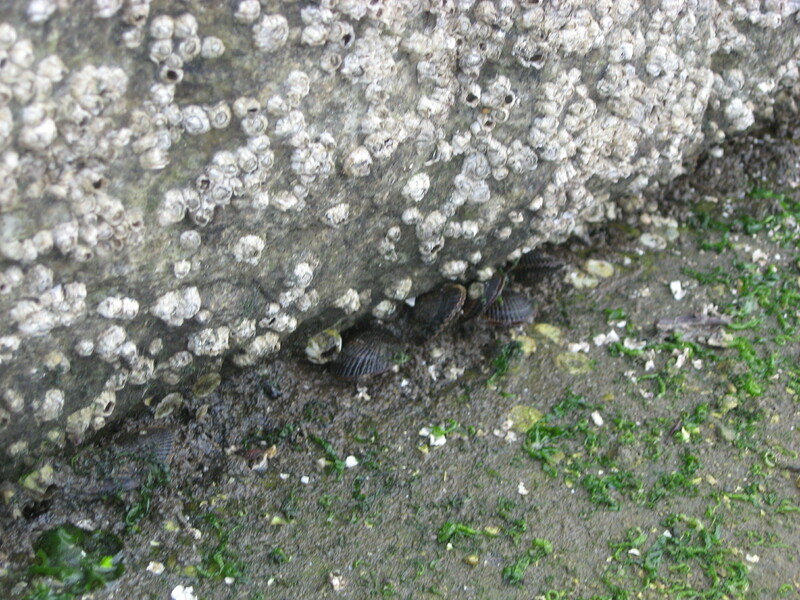 And—environmental science stimulates art to create a connection between ideas and physical reality, while environmental activism has given rise to some of the many of the most interesting expressions of artistic creativity in the past decade or so, giving the creative process a boost into a socially engaged yet esthetically rigorous realm. Comments welcome. And we look forward to seeing you on Sept. 11 for a vigorous ride through the wilds of the industrial Creek, crazy environmental facts and discussion, and birdwatching. 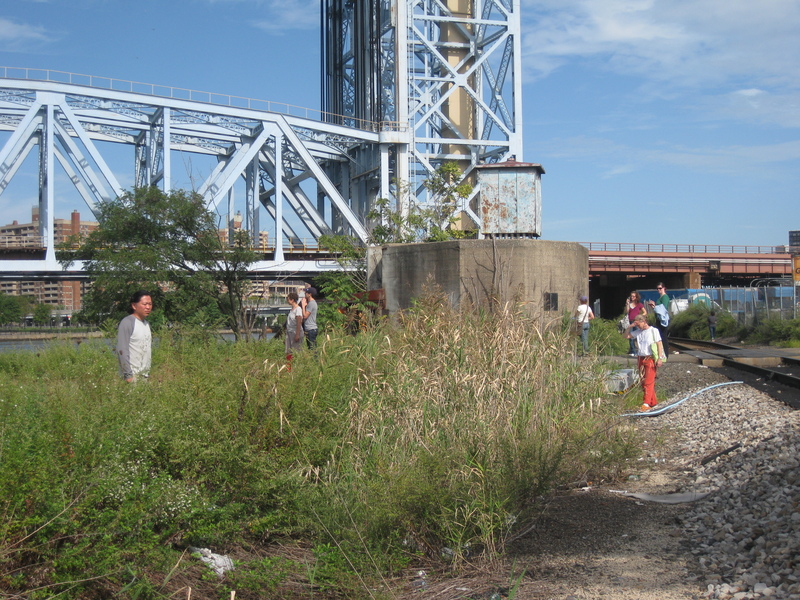 The walk through Greenpoint from the East River to Newtown Creek attracted a crowd of about 20 curious and intrepid citizen researchers. We took people on a historical and tactile tour of the area, overlaying present, past and future with imaginative, factual and sensory data. We were accompanied on the walk by Steve Glenn, of the Brooklyn Botanical Garden, who gave us a history of the flora that thrived in the area prior to settlement, and a sense of what had landed there now (everything from re-introduced scrub oaks to the ubiquitous Tree of Heaven, a non-native tree seen everywhere in New York City). There’s a whole slew of photos of the walk (below are some highlights), and coming soon are some selected questions and observations garnered from our researchers during the walk. Meet at the India St. exit of the Greenpoint Ave. G stop. Come to a research walk through the wilds of North Brooklyn, with an informal talk by Steve Glenn from the Brooklyn Botanical Garden and a historical tour of the land. This event is FREE and open to the public. Wear comfortable shoes, bring a hat and water! RSVP and questions to tryst@culturepush.org. Call 917-306-6363 if questions on the day of the walk. 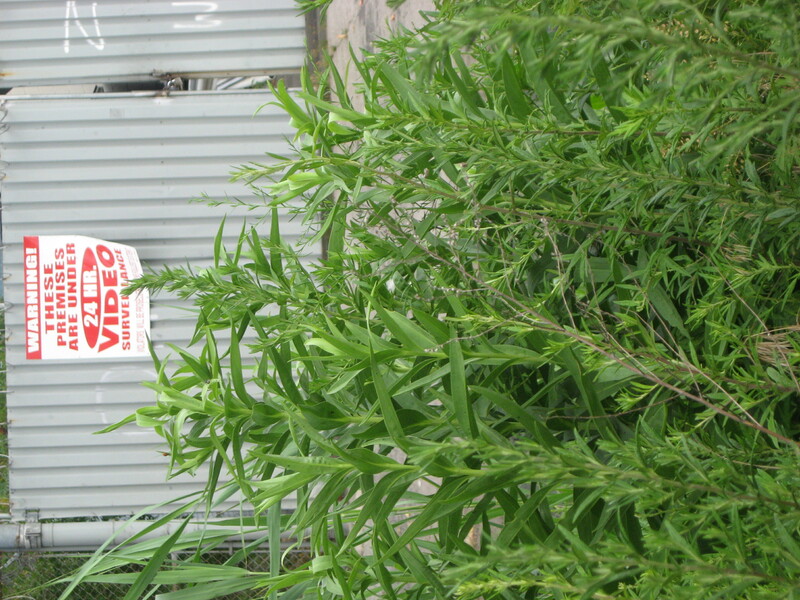 River to Creek: A Rov ing Natural History of North Brooklyn is a participatory research project and art action that draws attention to the geographic and ecological connections across the industrial landscape of North Brooklyn, from the wild empty lots at the end of Newtown Creek in Bushwick to the East River at the edge of Greenpoint. There will be three public hands-on research tours–July 17, August 21 and Sept. 11–and a final presentation in the beginning of October. Join us as we dance through the urban forest this summer. 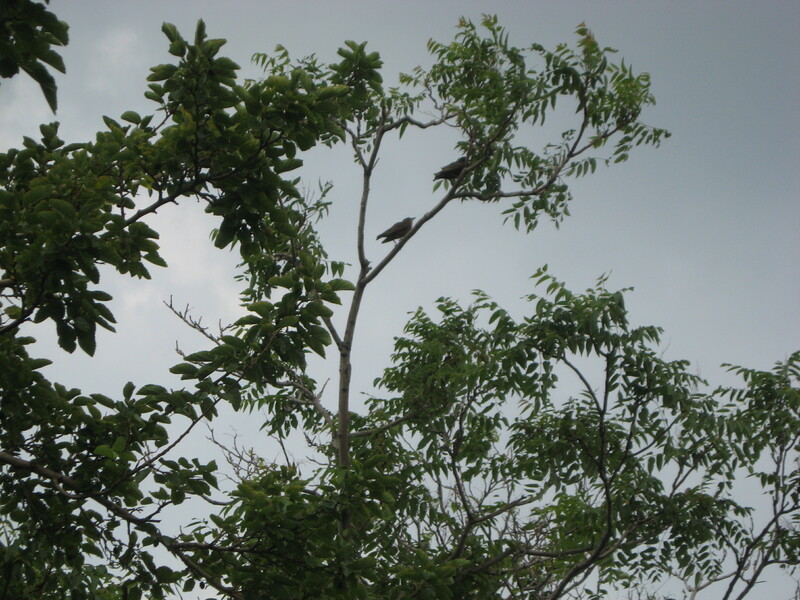 Jackie and Phil will be leading groups of street tree stewards on Saturday afternoons this summer. All friends of trees are welcome to explore the relationship between movement and the urban environment! Howdy folks. This is the most succinct description we have to date. What do you think? Not many people know that street-trees need to be cared for. But think about it- in the forest of urban street-trees, there is hardly any open ground to soak up water and nutrients, and roots have to compete with concrete and pipes! 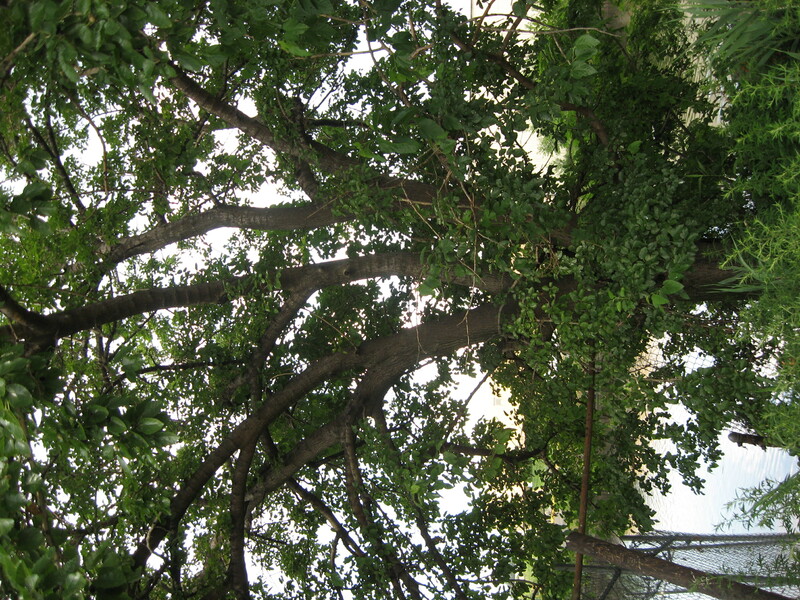 Street-trees need our help to grow tall and healthy; we can break up compacted soil, mulch around trees with woodchips, water, and even become citizen tree-pruners to trim dead branches before they become diseased. When you join us for a Stewardance day, we’ll do all the normal stewardship activities, but that’s only half of it. We will also be stewards of ourselves. Come learn how to tune in to the dance of your own body as it calls for physical activity, exertion, stretching, relaxation, air, water, and sunlight. Respecting the naturalness of ourselves, we can better realize the naturalness all around us; we can find the forest of New York City. Jump right in. 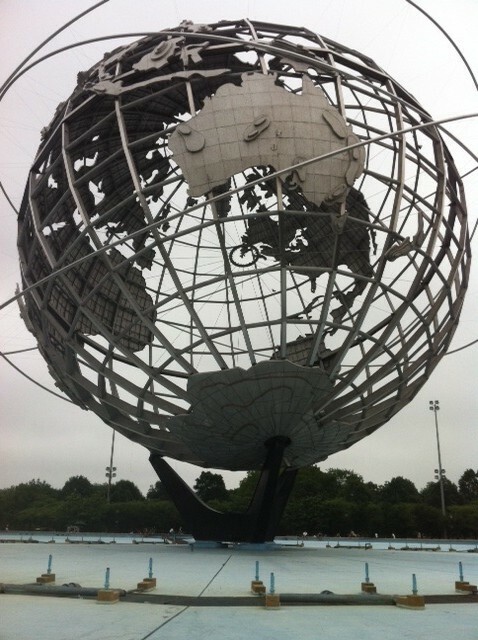 Join us as we figure it all out…how do we get from here to there in North Brooklyn? What will we find along the way? Some text to get us started . . .
I’m a dancer. I like to understand things through personal experience. Dance has been my way of consciously seeking and discovering information and cultivating an understanding of the world and of myself. The knowledge I gain is palpable, felt, immediate. I’ve been making site-specific dances, informed by history, cultural studies and architecture, for the past couple of years. I wanted to work with a geoscientist who could give me another perspective on place. I found Christopher Small through his website.